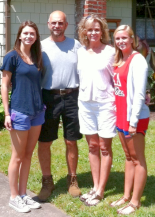 LOCALLY OWNED BY THE LOWERY FAMILY SINCE 1966! In 1966 my father, Kelton Lowery, opened the first AAMCO Center in Jackson, Mississippi, and managed the Center until the early 1970's when I, Mack Lowery, took over the daily management of the AAMCO Center. I have served on the Board of Directions for the National AAMCO Dealer Association and on the Customer Relations Committee. At our Center, we take pride in our top quality work and our diagnosis as well. We employ the most skilled technicians available and use state of the art equipment and tools. It is our goal to give each customer an honest and accurate diagnosis of their transmission problems and to complete the repairs in a timely, courteous, and professional manner. All repairs are guaranteed and 100% customer satisfaction is our goal. WHY USE AAMCO of JACKSON MS? Since 1963, more than 25 million drivers have trusted AAMCO with all their transmission and auto repair needs. AAMCO of Jackson, Mississippi, is known for certified technicians, state-of-the-art diagnostics, and the best nationwide warranty in the business. We are specialists in front-wheel drive, rear-wheel drive, and 4-wheel drive, domestic and imported vehicles. 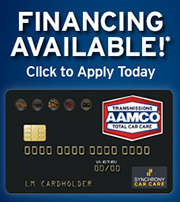 AAMCO centers accept most extended warranties. Expert automatic transmission repair, manual transmissions, clutch service/replacement, and advanced computer diagnostics to identify and help fix all drivability problems, including 4X4s, fleets, and more. Complete brakes services, starting with a free inspection and including brake pads, rotors, and anything you need for all vehicle makes and models. Check Engine Light on? We'll check it for FREE. Tune-ups and factory scheduled maintenance packages for about every car or truck on the road, to keep you in warranty and to help improve your gas mileage, for less than dealer prices. Expert repair and service for your TOTAL car care needs: oil, lube & filter changes, transmission flushes, exhaust, radiator/heating/cooling system, engine performance and more. We know your transmission is the last thing you have time to worry about. At AAMCO of Jackson MS, our transmission repair specialists make sure you leave our centers with the peace of mind that your transmission is working perfectly, all at the right price. Plus we provide you with a Nationwide warranty on the repair.